We’re going to discuss some good songs to sing Karaoke, some that are always sung, and why this seems to be the case. 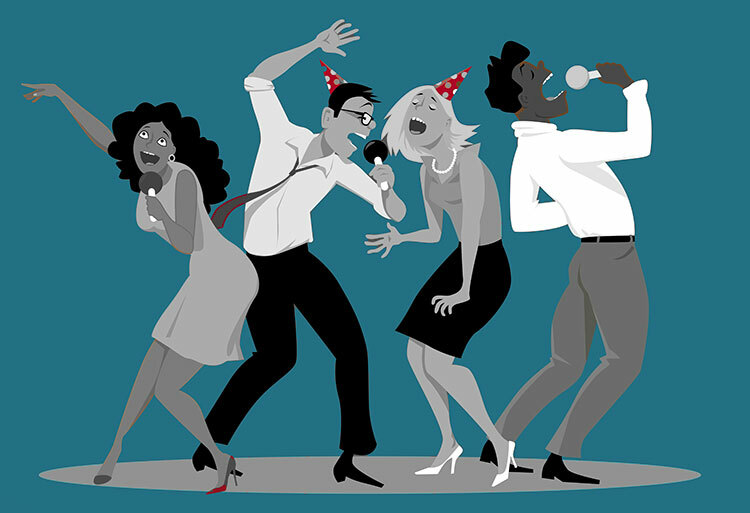 Karaoke can be one of the most fun activities or the most fearful depending on your attitude! The real point of singing Karaoke is to have fun and not take it too seriously. You cannot walk into a karaoke bar without hearing “Don’t Stop Believing” (Journey), What’s Up (4 Non Blondes) or “Sweet Caroline” (Neil Diamond). These songs have become staples because they songs everyone loves, they have become songs everyone knows, and are sing along songs that bring the whole bar into it. They are also songs easy to sing. Even though “Don’t Stop” gets way up there, after a few beers usually everyone can all go in on the high notes and song lyrics together. The worst is going into a karaoke bar and listening to a karaoke version of a sad and/or ridiculously long song. It brings the vibe down and it defeats the purpose of the event. Choose songs everyone knows if you are feeling nervous and let everyone help you through it. Choosing songs you can dance to, like many songs of the 80s, is also a good plan to go with. Not every pop song makes the best karaoke track. Just because songs by Taylor Swift or other songs currently on the radio are extremely popular, there are some that just work better coming out of a karaoke machine than others. For example, Taylor Swift’s “Shake it Off” is a lot livelier and fun to sing than another great song on her 1989 record called “Clean,” which is more subdued. I personally tend to sing classic songs such as George Michael’s “Freedom 90” or Guns N Roses “Sweet Child of Mine”. Although recently, when I was at a karaoke bar, I wanted to sing a song from one of my favorite newer artists, Ed Sheeran. This particular bar did not have the most up to date selection, so they only had a few songs from his first record. I chose his song “Give Me Love,” and while I love that song, it did not follow my previous advice of being a song everyone knows and an upbeat fun song. As with anything, when you take yourself too seriously, you miss the point of being present and enjoying the moment freely. More fun, less thinking! Know of more good songs to sing karaoke? Leave a comment below! 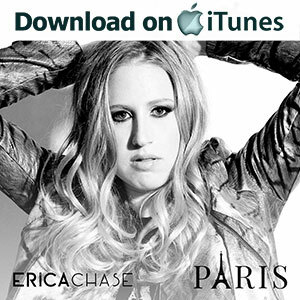 To hear more about my journey, check out my official website and download my first single “Paris”. Thank you for the support and belief and #chasedreams! © 2015 Erica Chase - New Music Artist. All Rights Reserved. Stay in the loop with Erica Chase and get your free monthly digest including updates, secret shows, & more!